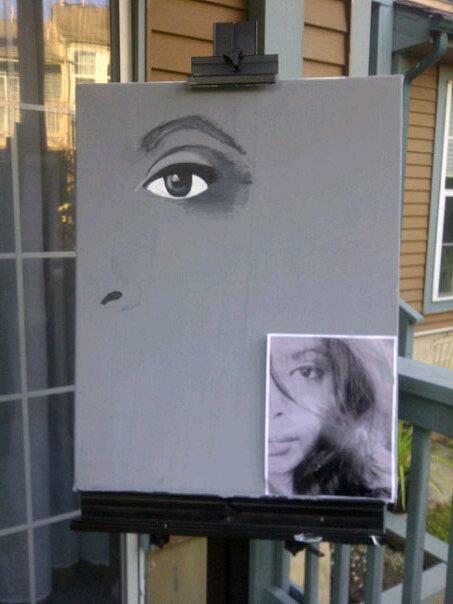 My sister, Anderson, requested one thing for her birthday in July, for me to paint a portrait of her. 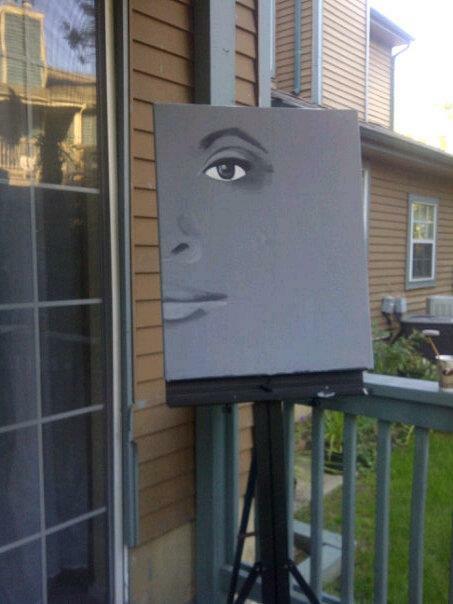 Now, I love to paint, but I find myself preoccupied with socializing and such, especially on the weekends. Anderson is quite an extraordinary character. We are alike but so different. She lived in Boston, thought it would be a good idea to live in New York City. A month in, she decided to go back to Boston. Anderson wants to be an actress so she is very dramatic about everything. Again, I take what I can get. She is my baby sister after all. GOL. 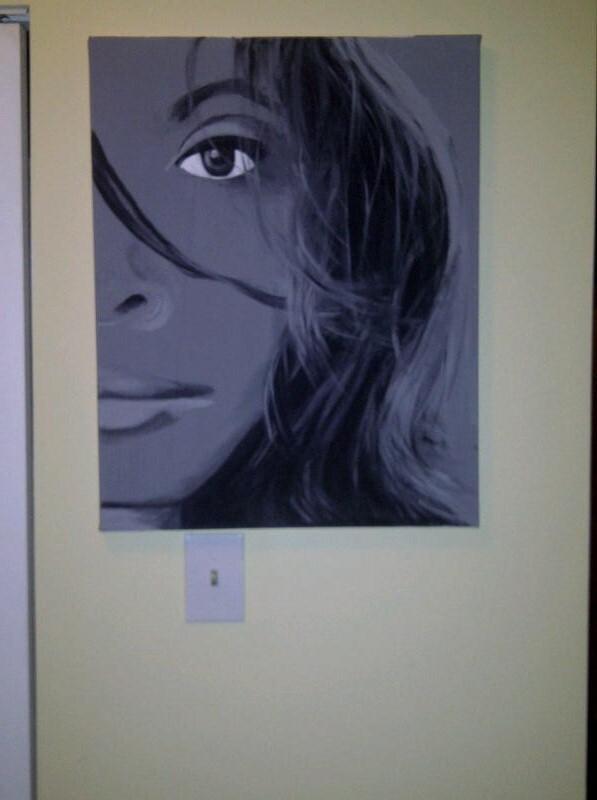 The pressure came on when she wanted the painting before she left for Boston. 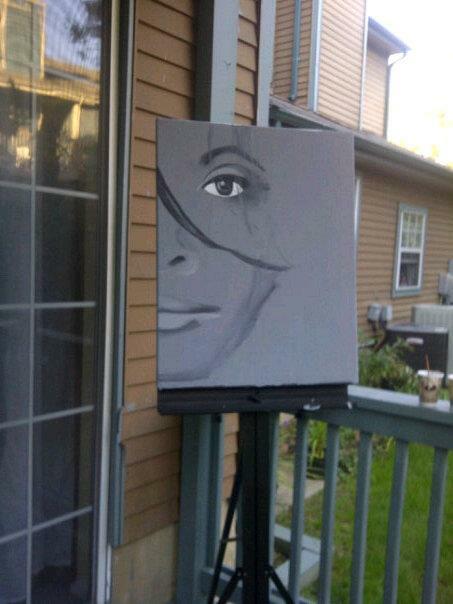 That meant that I would have to get out of my bed, hung over, to paint outside on my back porch. No one understands the addiction I have to my bed. It takes me hours upon hours to get out of bed. It is so perfect. Painting doesn’t take long, getting out of my bed does. Anderson has taken upon herself to become my agent and PR my work for me. I guess getting out of bed was a good thing. Anderson also has a blog and recently posted something about my blog on there. Check it out! Gracie… you wrote it from my user name clown!